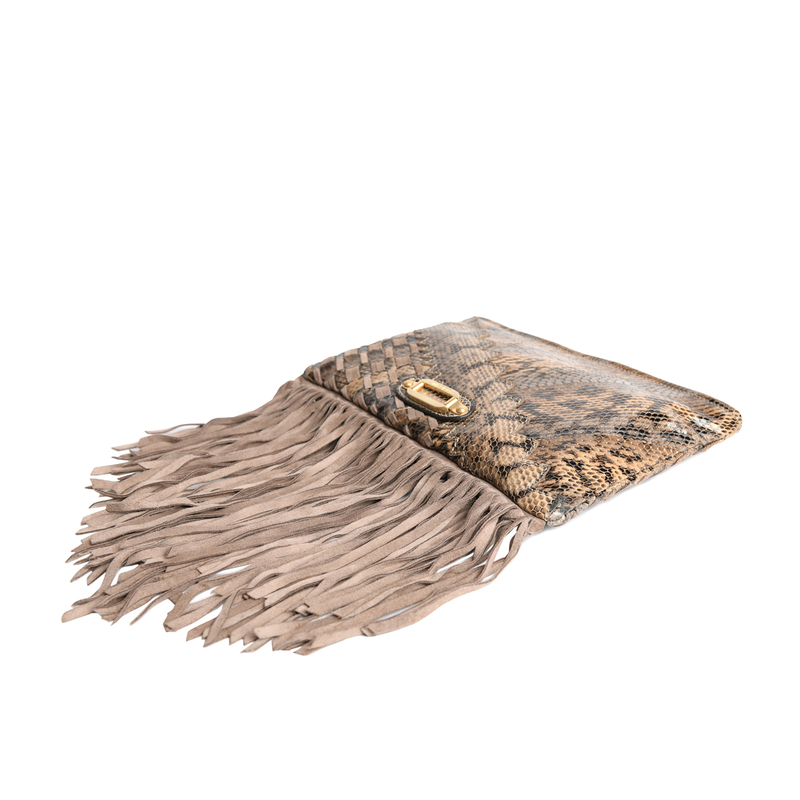 Categories: Bags, Clutch and Evening, Shoulder Bag, WOMEN. 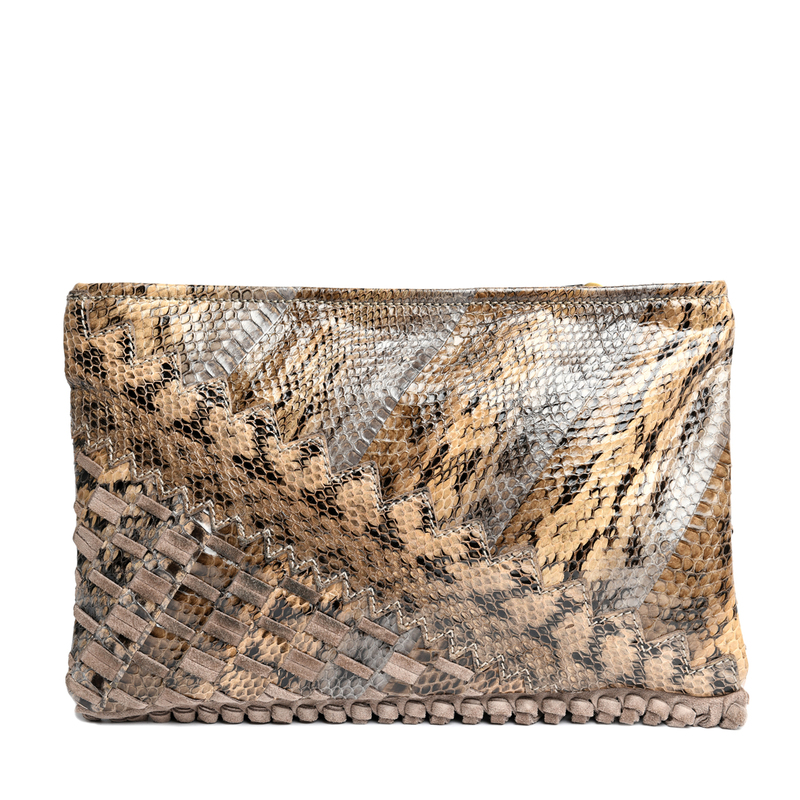 This stunning patchwork clutch is finely crafted of snakeskin leather with a suede woven inlay. 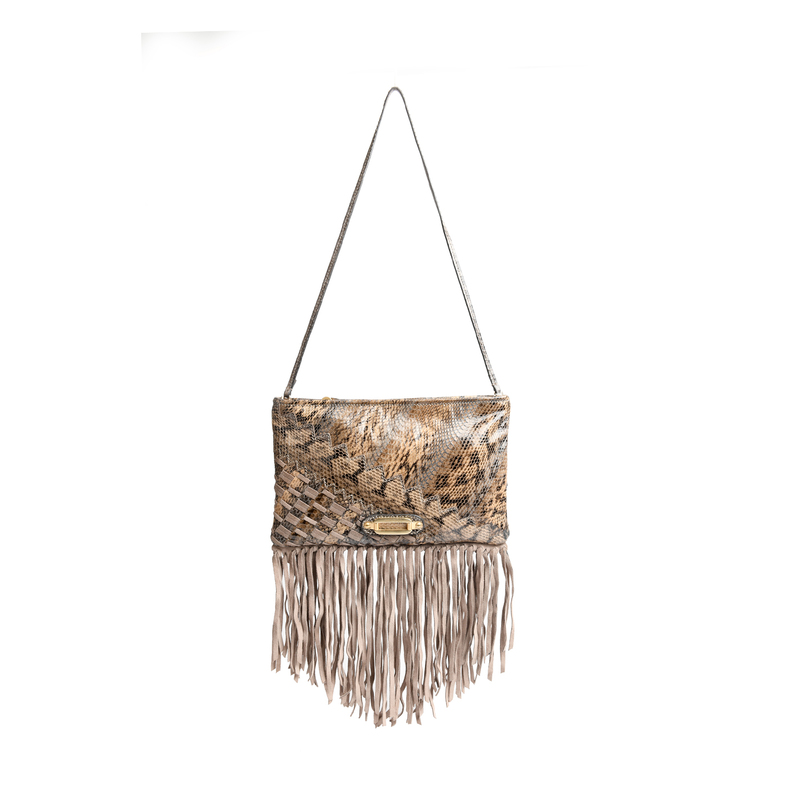 The bag features a brushed gold-tone hardware, suede fringe and a removable snakeskin shoulder strap. 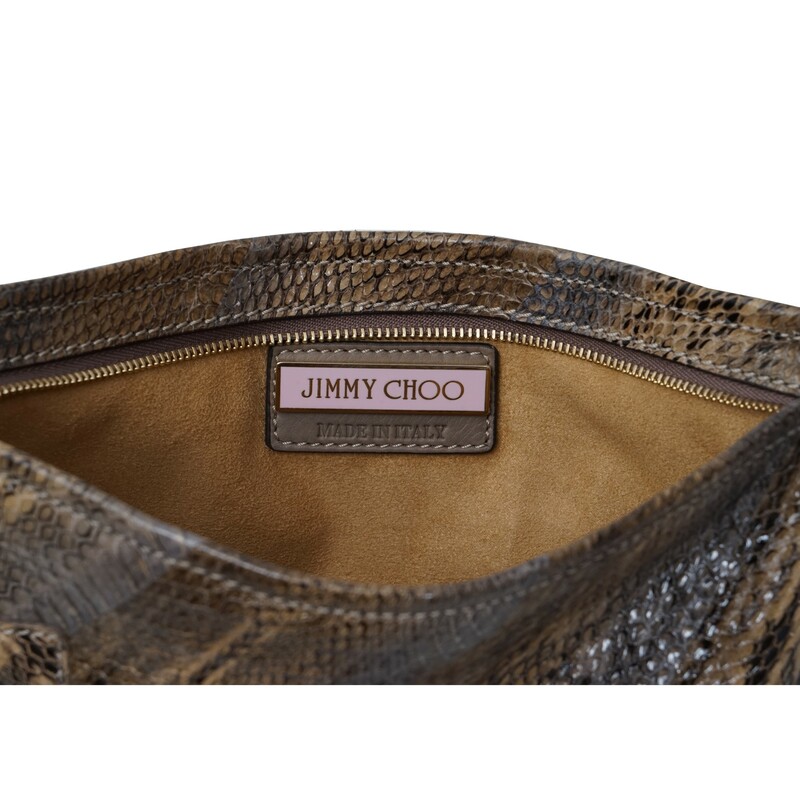 The top zipper opens to a caramel suede lined interior with one internal slip pocket. 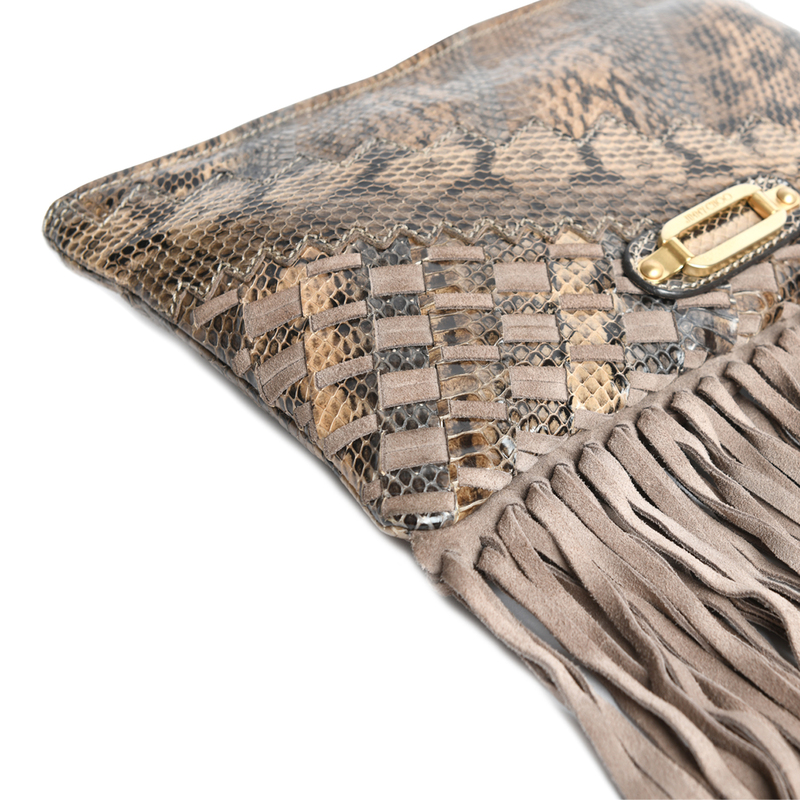 Exterior: The snakeskin is in very good condition with light rubbing on the corners. 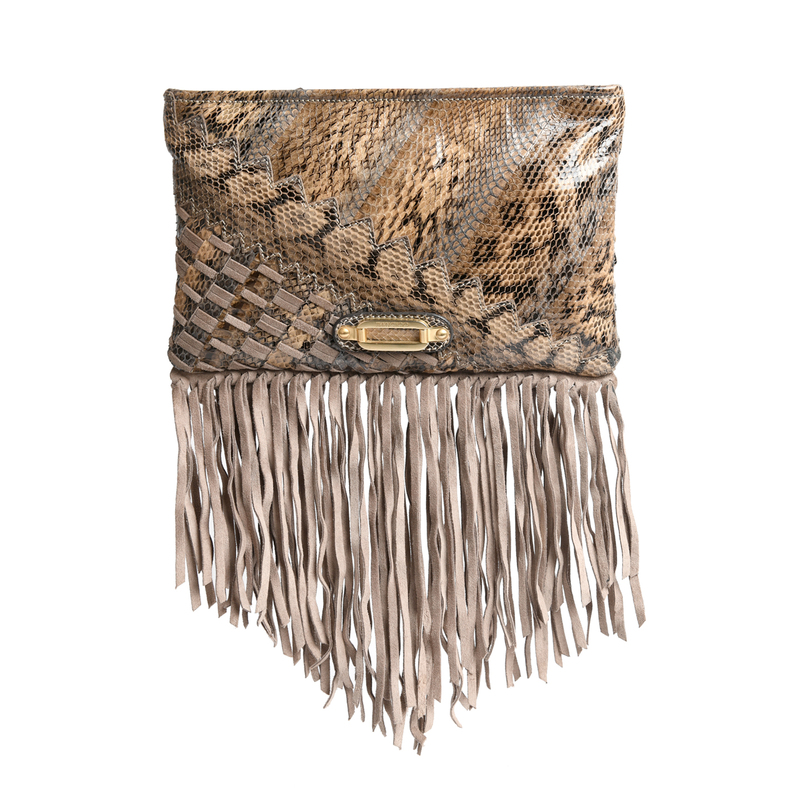 The suede shows darkening, especially on the backside of the clutch. 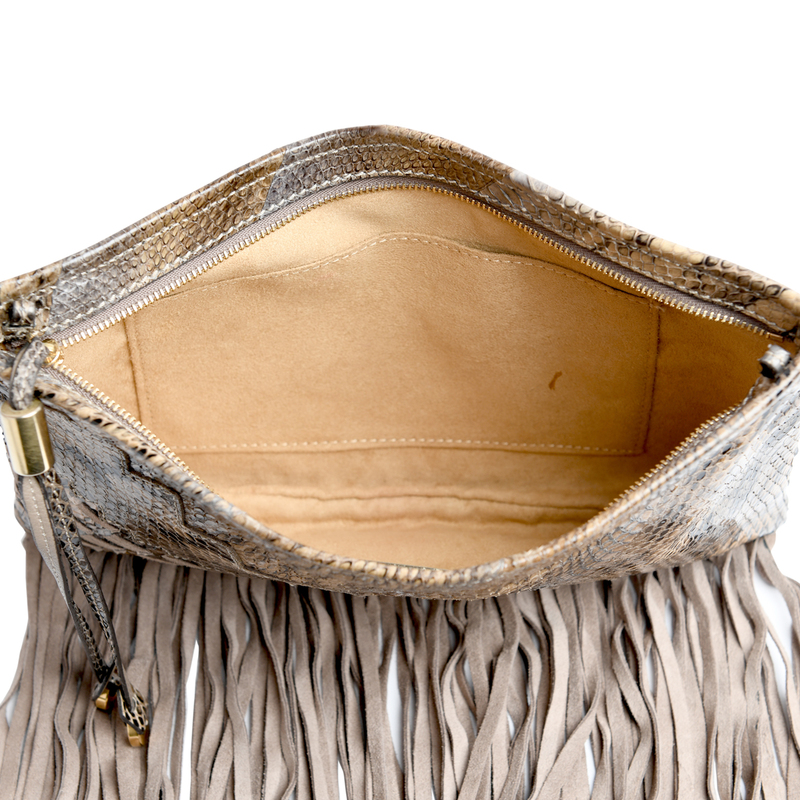 Interior: The interior suede lining has a manufacturer’s glue mark. Hardware: The gold-tone hardware has light surface scratches and dents.